The reaction series are site-specific modular installations that respond to their surroundings. 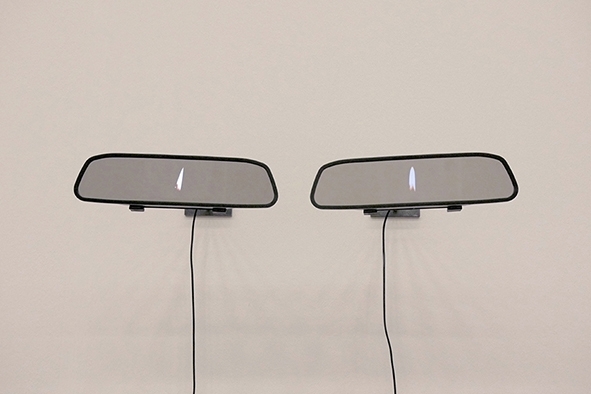 Looped found footage plays on monitors concealed within car rear-view mirrors mounted on custom-made steel brackets. The number, unique placement and content of the video loops are selected in relation to each specific context in which the work is installed. The work seeks to evoke the omnipresence and influence of the digital image in the contemporary constructed environment, embedded in both culture and architecture.